For the last month or so, I’ve taken one trip out to view some apartments in order to get an idea of how property sizes are in Hong Kong, and to see for myself what is available. I’m glad I did, as not only did it give me a good idea of what is available, it set my expectations right, and I knew which area I would likely stay at, how much I needed to budget, and more importantly, allowed me to explain my expectations to my property agent, so that she could look for the right apartments for me. At the same time, I was also busy selling my existing car. I had left my car with my mechanic in Singapore. One of his sidelines was in helping to sell and transfer cars for his clients. 🙂 I’m glad I handed it over to him. He got everything done for me. The interesting thing here is the timing. If I had not sold the car, I would not have the liquidity to proceed with any key decision in Hong Kong. So, it was extremely timely to receive the money for my Lexus on Friday. Christine had arrive in Hong Kong on Thursday night, and we were looking for apartments on Friday itself. Yes… it was that close. The funny thing was… Neither Christine or I had any anxiety to make a decision on any apartment on this trip. 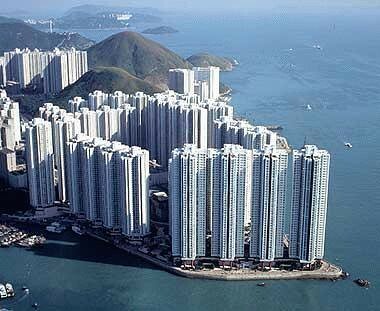 The trip, was in my mind, an opportunity to allow Christine to get a sense of the property situation in Hong Kong. Very much like what I did the last time. The thing was, because my property agent already knew what we were looking out for, she arranged a few very targetted apartments for our viewing. We liked every single apartment we saw. We first saw a unit in Mid-Levels West, which in my opinion was one of the better apartments with a higher floor efficiency. Then we headed out to the Pok Fu Lam area to look at 2 units at the Belchers. We loved the Belchers. The first unit was absolutely excellent! Christine and I immediately liked it, and were very much leaning towards taking it. But, we wanted to see South Horizons. Its an old development, probably 30 years old now. It was 2 outdoor pools, an indoor pool, tennis and squash courts as well. More importantly, it is extremely near the Singapore International School. While the exterior was old, I felt I wanted Christine to take a look at it, lest she wanted it. From my own personal experience of my last trip, I didn’t like it. The place was too grass roots, and the apartment I saw was.. well… extremely run down. So, I had not much hope. But this time around, when we came to South Horizons, we saw 2 units belonging to the same landlord. He had torn down the wall, and joined both units together. Each were about 740 sq ft, which gave it a combined 1,400++ sq ft. It was just renovated, and no one had stayed in it yet. It was extremely beautiful. Because of the combined units, the apartment had 2 wings. The decor and renovations were also extremely well done, and suited out tastes. So, to keep the long story short, we liked it, and decided to take it. The timing in which the funds came through was amazing. If the money had not come through from the sale of the car, we would not have decided to take the unit. A rare 2 unit combination that gave us the space we were looking for. God just allowed everything to fall into place. Then, on Saturday, after signing the tenancy agreement, we visited a few car showrooms. I had decided not to get a SUV due to the tight spaces in Hong Kong. I had also decided not to buy another Lexus, or an european car. I wanted to be a little more discreet, seeing I am not in Hong Kong, and the type of car used can be wrongly interpreted. Also the Japanese cars seemed to have better rear seat space, particularly for the centre seat. I wanted Elkan to be comfortable. So, Toyota was clearly on our minds, as we’ve always had good reliability with it. It was also my first car in Australia. We happened to chance on a Toyota showroom with a very nice salesman, who told us of a sale on Sunday. I had by then, taken a liking to the Camry Hybrid. 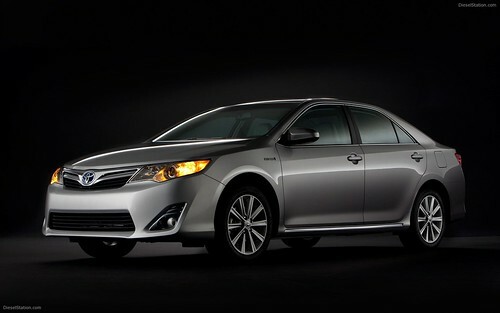 The price of the new Camry was HKD389,000. Tony, the Salesman told us that Toyota themselves had a used Camry Hybrid to sell on Sunday. It had only been used for 5 months, and had a substantial discount. It was only selling for HKD317,000. To me, it was clear and obvious. I was going to the sale on Sunday. So, I bought the car! This entry was posted in Christianity, Family, Musings, Personal, Travel. Bookmark the permalink.